earlier this week I had the lovely pleasure to photograph behind the scenes for a segment shoot for chicago's WCIU you and me this morning. 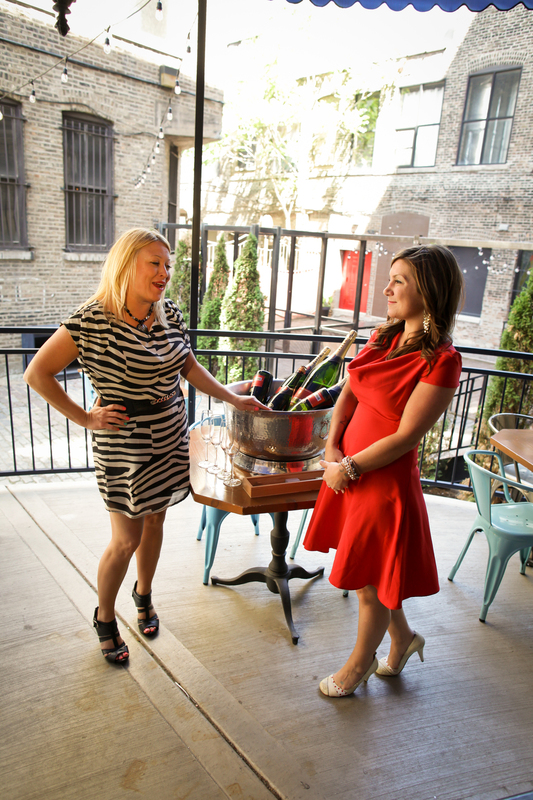 the always gorgeous mea leech of RM Champagne Salon demonstrated to WCIU's aly bockler ( hostess with the mostess) how to exactly open up a bottle of bubbly, a la Napoleon. for the non-historians out there, that is the manor which Napoleon found most convenient, whilst horse top, when he had only a trusty sabor to open a bottle of champagne. we call this saboring!! the segment will air next wednesday morning. tune in and see these gorgeous gals sabor in the summer with some serious style. 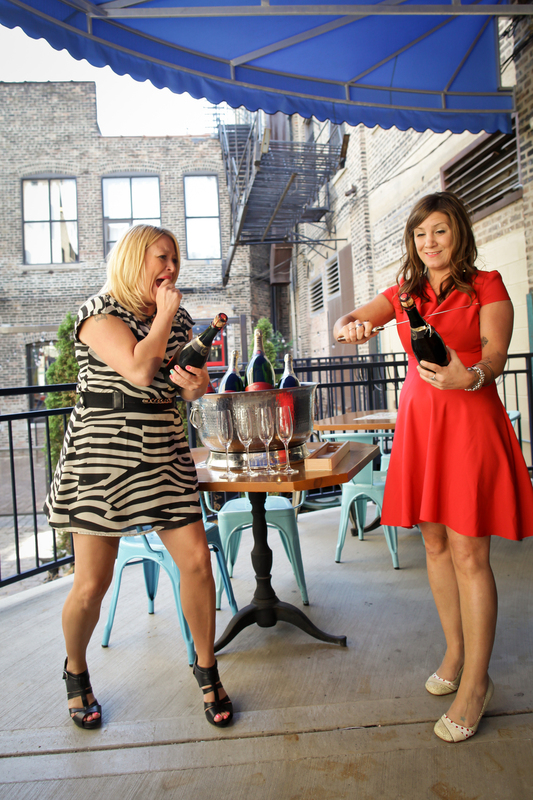 cheers to you, cheers to me and if we ever disagree.......... drink more bubbly!